The boss of an airport parking firm has been jailed for more than a year after it was discovered he used false reviews and photos to dupe customers into booking with him. An elderly north-east couple were left fuming after easyJet axed their route – and refused to pay for them to reach the nearest airport. Campaigners have welcomed the arrival of a new air link between Aberdeen and the south of England. New legislation to extend the no-fly zone for drones around airports will come into force next month, the Department for Transport has announced. EasyJet have refunded or re-booked dozens of passengers after a customer service mix up following their decision to axe an Aberdeen flight. 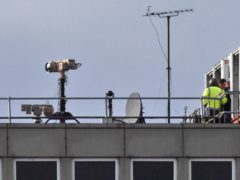 The military equipment being used to stop further drone disruption at Gatwick Airport is believed to be capable of jamming signals to the rogue devices as well as tracking them. EasyJet said it will investigate after north-east customers complained of booking on “phantom flights”. Passengers and politicians have criticised an airline for pulling a “popular” route with just 70 days’ notice. Flights linking Aberdeen with a London airport have been axed, the Evening Express can reveal. An airline has apologised to passengers after a plane twice aborted landing attempts. Passengers today told of a “frightening” plane drama after a pilot abandoned two landing attempts and then gave up on a third. 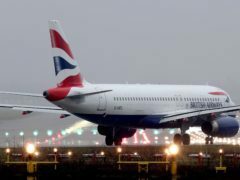 British Airways owner International Airlines Group (IAG) has confirmed that it is exploring a potential acquisition of low-cost carrier Norwegian Air Shuttle. British Airways owner International Airlines Group (IAG) is exploring a potential acquisition of low-cost carrier Norwegian Air Shuttle. A plane travelling from London to Aberdeen had to abort its landing “due to weather conditions on approach”. The Government has confirmed that a third runway at Heathrow has been given the green light, as proposals to expand an existing runway at the airport or build a second runway at Gatwick have been rejected. A man from France has been detained by police after a suspected firearm was discovered at Gatwick Airport.